Waiting to become the perfect bite. 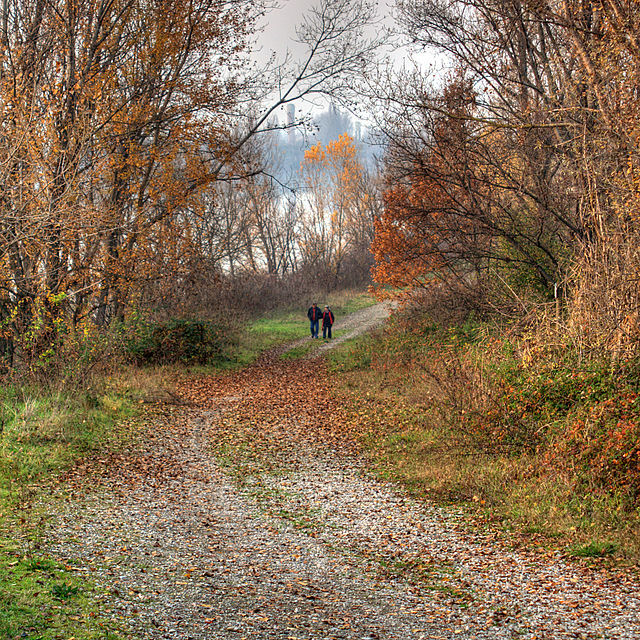 Photo of the Secchia River by Roberto Ferrari from Campogalliano (Modena), Italy. And by perfect I don’t mean fancy. When it comes to entertaining, I constantly have to remind myself to un-fuss. My friends don’t have fancy expectations – they want laughter. No one minds if elbows are on the table, as long as there’s a drink in every hand. And when it comes to food? The simpler the better. I could take a lesson from the Emilia-Romagna region of Italy. There, antipasto is a way of life. Antipasto is the embodiment of the pefect, unfussed bite: A leathery bit of dried fruit or the sweet squish of fresh fruit. A pluck of cheese and a shaving of meat. Some sort of soft pickled thing and a crispy crust. 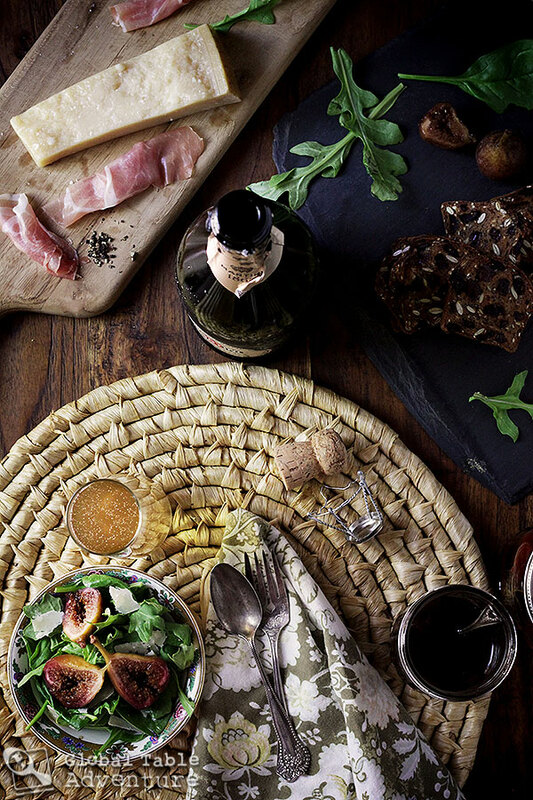 In Emilia-Romagna, even the most ordinary antipasti are laden with the best of their local harvest – figs wrapped in prosciutto, perhaps some microgreens, a drizzle of balsamic on a hunk of Parmesan. Place it on a board, call it a day. Something for everyone. 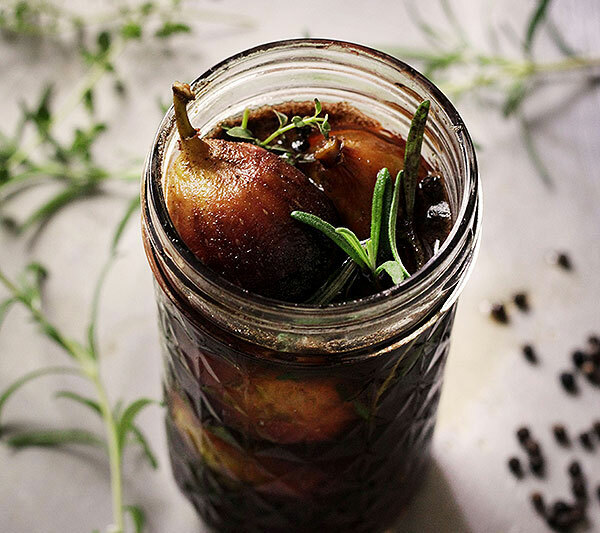 This week Whole Journeys, Whole Food Market’s amazing new travel division, challenged me to pickle something incredible with balsamic vinegar from Modena, a province of Emilia Romagna… to help bring in the summery goodness of Emilia-Romagna to light. What an honor! And what fun!! Whole Journeys is all about lo-key tours centered around the ingredients Whole Foods Market sources, in the countries where they source them. Think bicycle rides through the Italian country side, exploring markets and farms …all while cooking and tasting the best ingredients. And, of course, they have a tour of Emilia-Romagna coming up this fall, featuring local wines, step-by-step making of balsamic vinegar, Parmigiano-Reggiano, and Proscuitto di Parma. I immediately knew what I had to do: marry the most beautiful ingredients in the region with Homemade Balsamic Figs. For the Whole Journeys challenge I picked up a pound of fresh Brown Figs, making sure the fruit was heavy and the skin velvety. 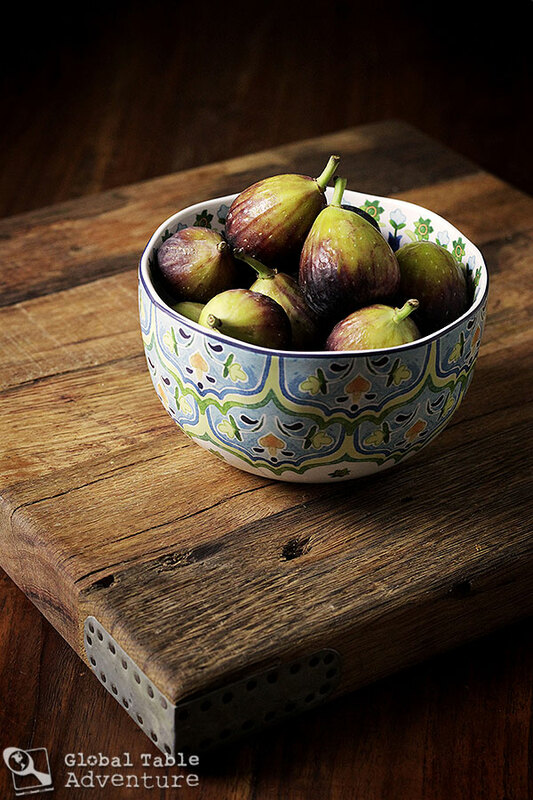 Figs are in season right now – tender, mildly sweet bites of summer. A few nicks here and there told me the skin was fragile – one telltale sign of ripeness. Still – they figs should be fairly firm so as to not fall apart when pickled. After a quick boil in honey and a pucker of balsamic vinegar, the figs find the perfect sweet/tart balance. 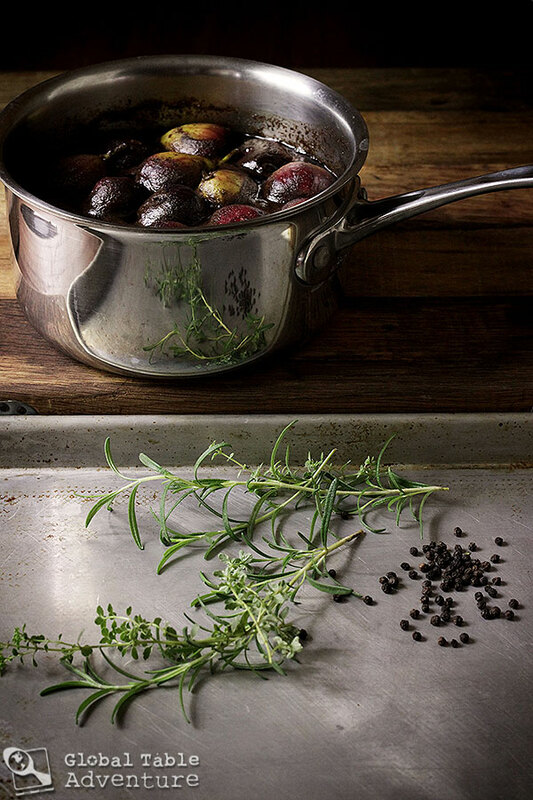 But it’s the rosemary and thyme infusion that makes the figs and their thin syrup hum… a fresh, earthy note, as though they were plucked from the trees moments ago. And darned if I can’t shut my eyes when I’m eating them and imagine myself in Italy. 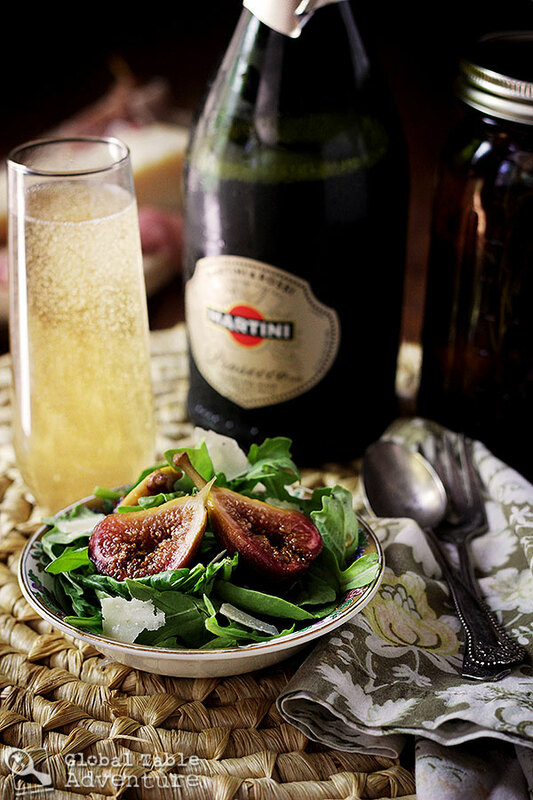 Antipasto-inspired Salad: fill a platter with peppery leaves of arugula. Top with shaved parmesan, rolls of proscuitto, cracked black pepper, and slices of pickled figs. Fresh strawberries are a bonus. Drizzle with pickling liquid and olive oil. You can see my rendition on Instagram. 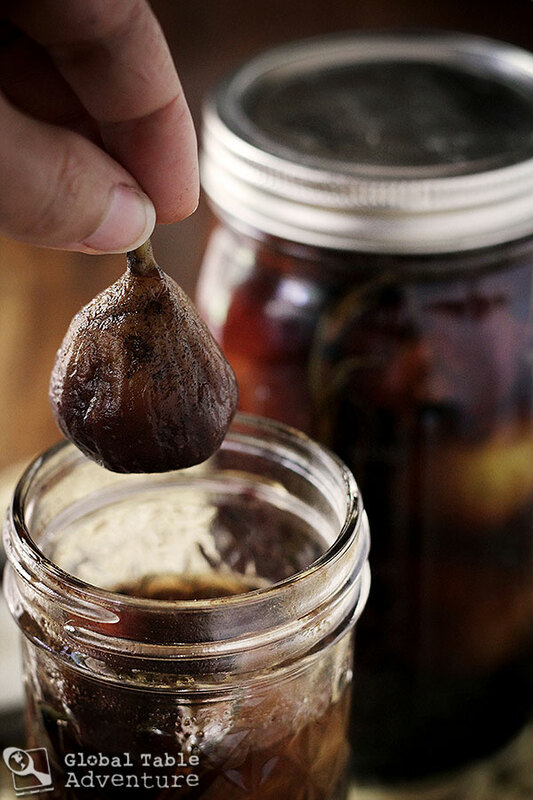 Snacks: As the weeks go by, the ripest figs will soften into the pickling liquid. Smash them on a cracker or over a salty piece of Parmesan. 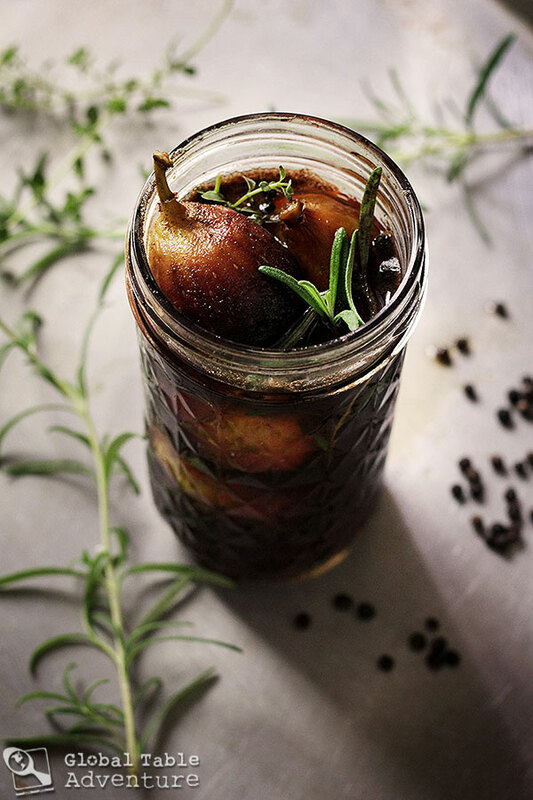 Hostess Gift: Have a friend that loves figs or balsamic vinegar? 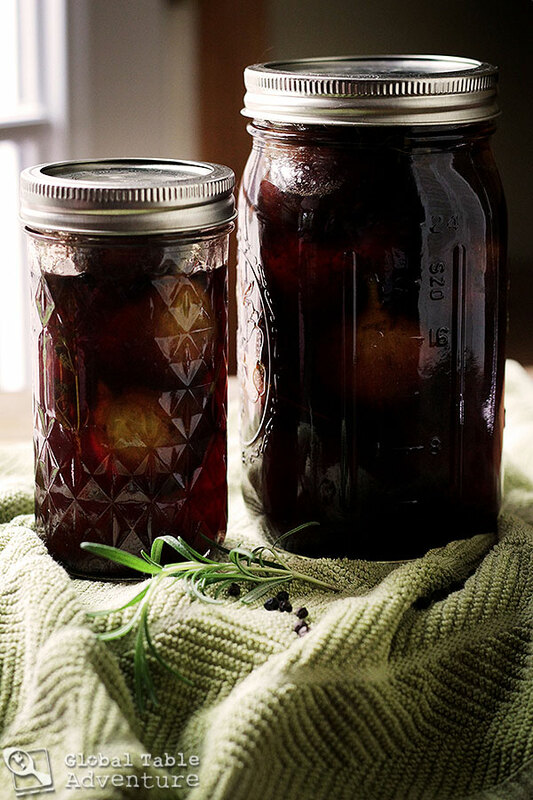 A small jar of pickled figs will wow them. Bonus? Bring some on the antipasto salad to share (and convince them of the figs’ winning flavor), then give your friend their own jar as a parting gift. 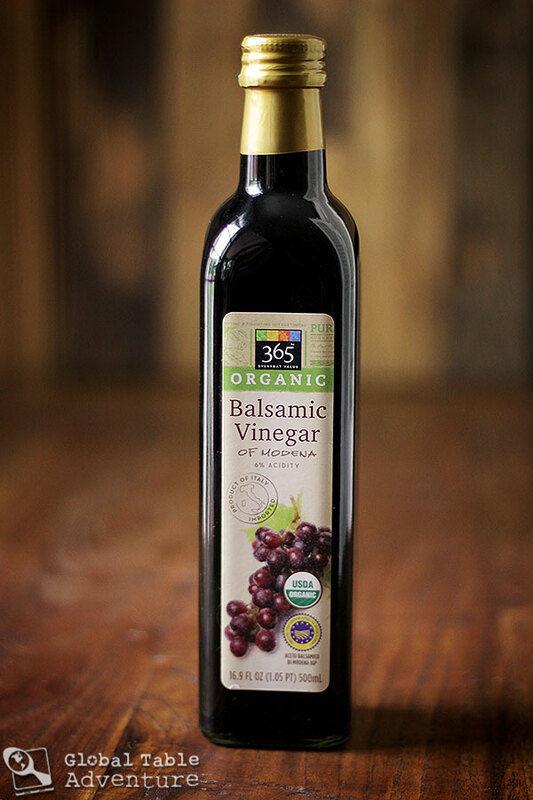 Sweet Balsamic Fig Salad Dressing: The leftover pickling liquid can be used to make the most divine salad dressing. Just add olive oil and season with salt and fresh cracked pepper! 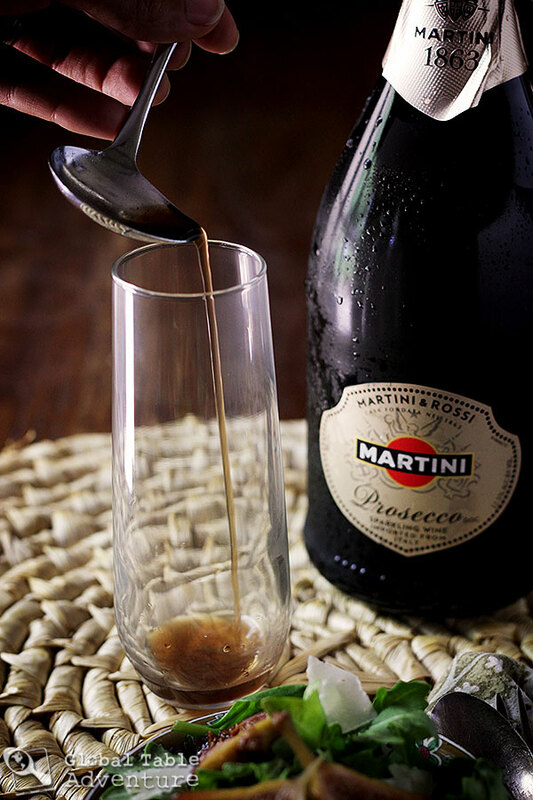 Prosecco Mixer: Add a drizzle of the honey-infused pickling liquid to a cold, bubbly glass of Prosecco. This treatment is inspired by the folks in Emilia-Romagna who add straight balsamic to their glasses. Ah-mazing. I invite you to capture the essence of Emilia-Romagna yourself… especially the art of un-fussing your feasts. To help with this, one lucky winner will get a $50 Whole Foods Shopping Spree to create the un-fussed antipasto of their dreams… thanks to the generosity of Whole Journeys. 1. Leave a comment on this page and tell me how you un-fuss your feasts – especially how you keep entertaining simple during the summer. 2. Share this post on your favorite social media (Facebook, Pinterest, Instagram, or Twitter) and link to it in your comment for an extra entry. The contest runs through Wednesday, July 16, 2014. A winner will be chosen at random the next day. Recipe inspired by Food & Wine. Sterilize the jars and tongs. Prepare jars, lids, and tongs by running through the sterilize setting on the dishwasher or covering them with water and boiling for 10 minutes. Do not remove from sanitized pot or dishwasher until needed. Place the honey, water, and balsamic vinegar in a pot ad bring to a boil. Add the figs, simmer 1-2 minutes, and remove from heat. Divide the figs evenly among the jars with sterile tongs. Cover with cooking liquid (leave about 1/4 inch at the top of the jar). Divide the peppercorns and herbs between jars. Attach lids. Tip: If there’s any extra cooking liquid, save it as the base for a fantastic salad dressing! Boil a large pot with water. Place the sealed jars in the pot, completely submerging them. Start a timer and boil this way for about 10 minutes. Let rest in the hot water about five minutes, then remove with tongs and let cool at room temperature. The next day make sure each lid is sealed (there should be no flex up or down when you push down on the lid (same as with a tamper proof lid). Store in a cool, dry and dark place for up to 12 months. Tip: If jars have not sealed refrigerate immediately and eat them up within a week. Sterilize the jars and tongs. 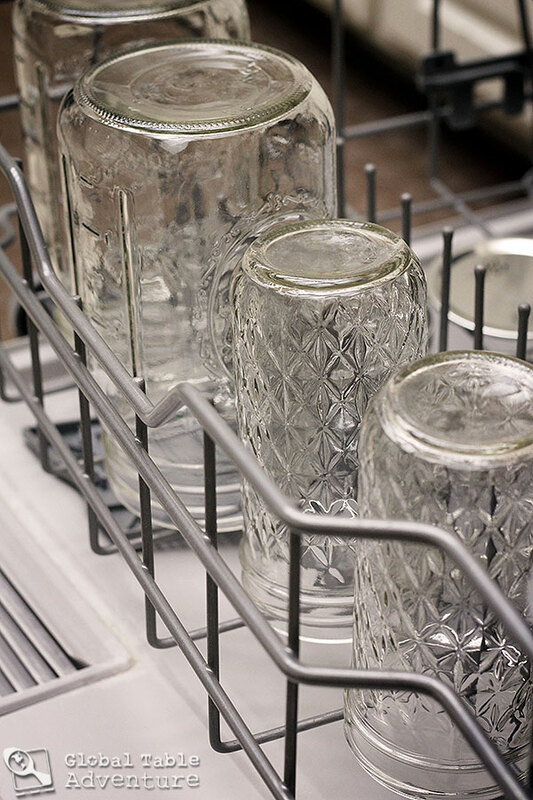 Prepare jars, lids, and tongs by running through the sterilize setting on the dishwasher or covering them with water and boiling for 10 minutes. Do not remove from sanitized pot or dishwasher until needed. Cook the figs Place the honey, water, and balsamic vinegar in a pot ad bring to a boil. Add the figs, simmer 1-2 minutes, and remove from heat. Jar & season the figs Divide the figs evenly among the jars with sterile tongs. Cover with cooking liquid (leave about 1/4 inch at the top of the jar). Divide the peppercorns and herbs between jars. Attach lids. Tip: If there’s any extra cooking liquid, save it as the base for a fantastic salad dressing! Cook the figs again Boil a large pot with water. Place the sealed jars in the pot, completely submerging them. Start a timer and boil this way for about 10 minutes. Let rest in the hot water about five minutes, then remove with tongs and let cool at room temperature. Check the seal The next day make sure each lid is sealed (there should be no flex up or down when you push down on the lid (same as with a tamper proof lid). Store in a cool, dry and dark place for up to 12 months. Tip: If jars have not sealed refrigerate immediately and eat them up within a week. I love having fresh food when it is hot. Frequently I will cut up whatever veggies are around and mix it with pasta, a whole crushed clove of garlic, a little olive oil, romano cheese and to kick it up a notch some sambal olek. Yum. I like keeping things nibbly and making stuff ahead of time for entertaining. we cook on the grill and eat outside while. Eating local helps too, the produce tastes great without a lot of extra work! I shared on my FB page but have no idea how to include the link here! 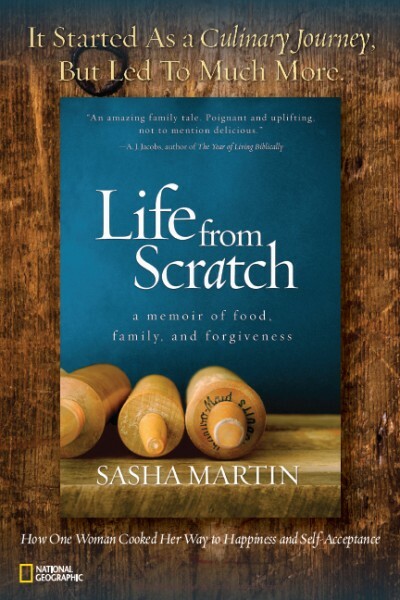 Love the stories and recipes found here! I like to focus on fresh, simple meals. And I invest any extra time into capturing those flavors for the rest of the year — with simple pickles, lightly sweetened preserves,e tc. How do I un-fuss? Keep all the ingredients simple and involve everyone. We have found ourselves grilling quite a bit. Everyone is involved in the prep and we stick to sliced veggies and meat. Making it communal helps me to not fuss over the right/wrong of it – it’s all about the experience! I like to keep an assortment of bread, fruit, pickled vegetables, and cheese on hand so I can whip up an elegant dinner without having to turn the oven on. I’m in awe at these beautiful photos, and I love this recipe! I would love to make it for home and for hostess gifts. I love experimenting with new recipes, and keep in mind the fun of keeping it simple. I look at the farmer’s markets and Whole Foods for the best produce for fruits and veggies. Grilling almost anything makes it special, a good steak or fish from WFM, then add a home made dessert like homemade ice cream. I also like fresh organic juices and serve them on ice. Grilling and eating out always seem to keep things more simple! Less to clean (before and after!) and most grilled recipes are pretty simple. I also like to remember that the point is usually to enjoy good friends and good food and little details that may not go according to plan aren’t usually as important as we think they need to be. These figs look delish! I keep things simple by…not cooking! Or cooking minimally and early in the morning. So we’ll have things like big green salads, potato salads, and cold peanut noodles. And there’s always the joy of potluck! Thanks for the giveaway opportunity! we like to grill kabobs. And then load all the goodies onto a tray so people can just pick and choose what they want to eat. Definitely with a cheese plate and a buffet in general, so everyone can just help themselves to whatever, whenever. For summer parties I like to include a serve-yourself pitcher of gazpacho soup on the buffet tape. I try and not use the oven during the hot Florida summer. Raw salads, cold pastas and BBQ outside. And I love me some masala chai or watermelon lemonade! When eating with friends, especially in the summer, some of the most unfussed movements come from eating simply good food together and enjoying each other’s company. I’ve done dinners with baguettes, dips and spreads like tzatziki, bruschetta, and hummus, salad, a selection of cheeses and charcuterie, and wine. They are perfect! They are also some of the fun dinners I remember most because we sit eating, drinking, and having fun in a more relaxed setting (around a coffee table on the chairs and couches and even on the floor) that can last for hours. Summer in Florida means cool. Salads, dips and bread, cool soups even. Thanks for the chance. Such a great time of year to keep meal time simple, fresh and local. Shopping at my neighbors for eggs, local CSA helps me invent fun, new produce recipes, and most of all enjoying the summer time evenings on the porch! Thanks for the stroll through the Emilia-Romagna region today! 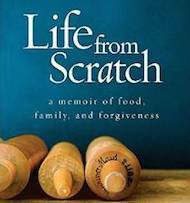 Antipasto Salad recipe has been bookmarked fot book group next month. I love the summer! For me, it’s all about fresh fruit and vegetables! Keeps things light and easy. I like to go cool in the summer. Salads and fruit are staples in the heat. Those figs look so good! I keep it “unfussy” by grilling most nights. Less dishes to do. My favourite way to keep it simple is to make a salad with rocket leaves, feta, pears, walnuts, and balsamic. Nothing else, and it doesn’t need it. Also, does this competition finish on Monday, or on the 16th? As Monday is the 14th. I go for dishes that require the least number of ingredients. Less prep = more time for other things. 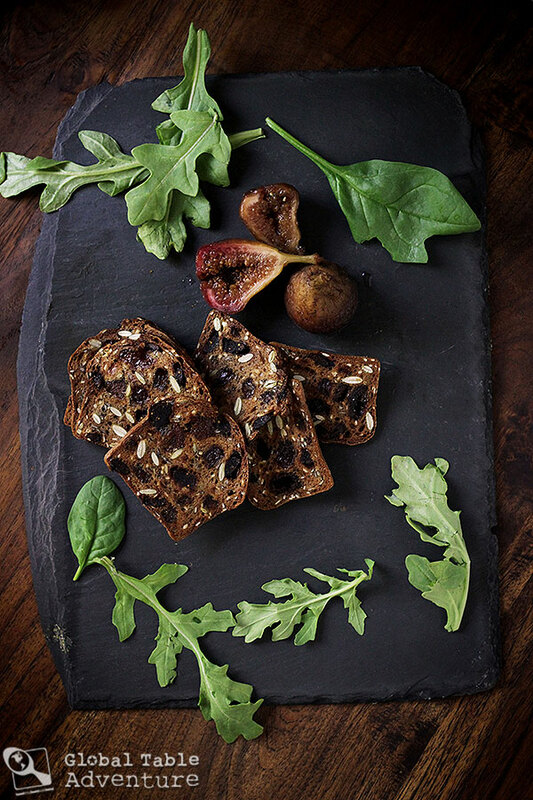 Love the balsamic figs! Just what I was looking for to preserve the freshness of the fig flavor this summer! To un-fuss we focus on the local summer harvest: toss garden fresh veggies, farm fresh cheese, and crusty bread croutons together in a bowl with a pesto vinaigrette. Savor the summer! We ‘un-fuss’ our feasts by grilling a lot during the summer when the weather allows which takes a lot less effort and less cleanup. Beautiful! We un-fuss our feasts in the summer by just eating simply! Fresh sliced tomato with basil and mozzarella from the garden, easy corn and avocado salad – just very light meals with light dressings, I love it. I keep entertaining simple by serving lots of salads and cooking burgers on the grill. We BBQ a lot because it’s easy and the clean up is simple and it’s great to eat BBQ out on the patio in the summer. I try to keep things simple in the summer when it’s hot out. Like making hamburgers or grilled meat of some kind, throwing in some corn on the cob or other veggies wrapped in foil. It keeps the heat out of the kitchen! Also, I leave lots of fruit and veggies for the kids to snack on–things that don’t need to be heated up or prepared. I keep entertaining simple during the summer by making a main dish and asking friends to bring their fav side dish when we have get togethers! I fell in love with fig tarts and would love to make more! We keep entertaining simple in the summer by sometimes having each person attending the dinner to bring a dish of there own. Like a potluck. Make s it fun! Having a potluck and simplified dishes, especially salads! We keep things simple by eating a lot of lighter dishes rather than heavier, messier meals that we may make in fall/winter. Tweet for another chance. Thank you. I like to grill to keep thing simple. It always tastes delicious! I grill up burgers and hot dogs for entertaining in the summer. Yum! I love figs! I keep things simple and use fresh local ingredients whenever possible. Summer is a time for delicious salads and simple grilled meats. It keeps things easy. I find it’s easy to unfuss this time of year. I focus on one dish that will be a standout. Everything else is basically just the freshest produce I can find made into a salad or prepared simply with minimal sauces and fuss. I have been helping at a local farm that helps supply food banks. Working along side others that share the passion to help others, eating a handful of product that has just been picked and is still warm from being kissed by the sun is wonderful! 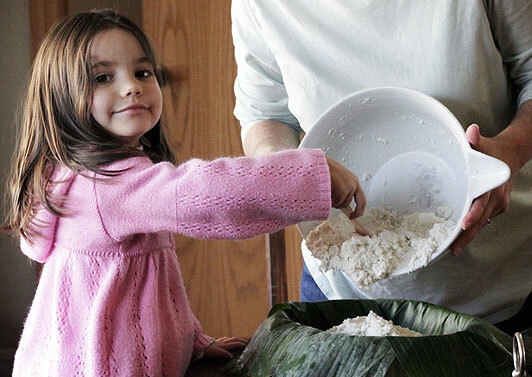 I de-fuss my feasts by often having things the family can assemble themselves — tacos, for instance. What have you found is the best way to eat these? I like the idea of them in a panini or maybe even on a pizza with goat cheese and arugula? Beautiful! One question: is there a way to use dry Mission figs in the winter months? I know the end result won’t be the same as with fresh figs, but perhaps I could use dried Mission figs to create a honey balsamic fig syrup? I find the fig recipe not right with the jar amounts or size. 1 Qt. or 3 or 1/2 pts. jars. A quart holds 32 ounces a half pint holds 4 ounces. The quantity of ingredients and jars don’t match. I can’t think this recipe was put in Food and Wine magazine correctly. I’m canning my pickled balsamic figs today. 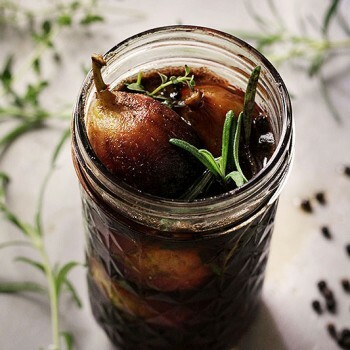 I use similar recipe and it makes about 4 Pint jars.